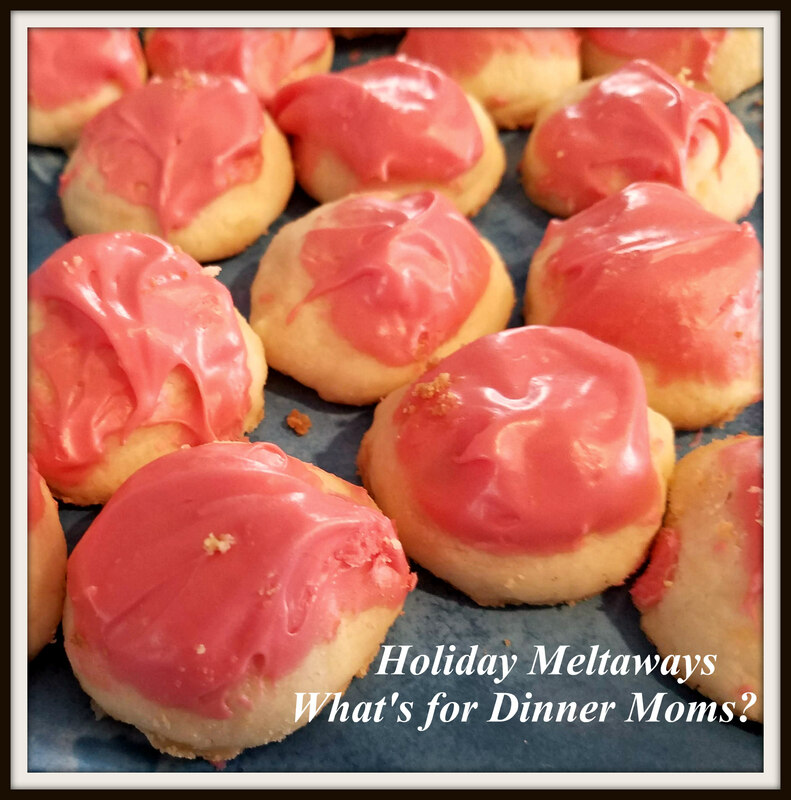 Christmas Cookies Week 5: Holiday Meltaways – What's for Dinner Moms? We are always looking for new cookies and these sounded so simple when I heard about them how could I not try them! I love shortbread cookies and the recipe seemed similar so I thought how could I not love them. These were even better than I thought they would be. Lighter than air I could easily eat a dozen at a time! They truly melt away as soon as you bit into them. They have a light shortbread flavor that could easily compliment several flavors of frosting to make each batch unique! Christmas peppermint or summertime lime? 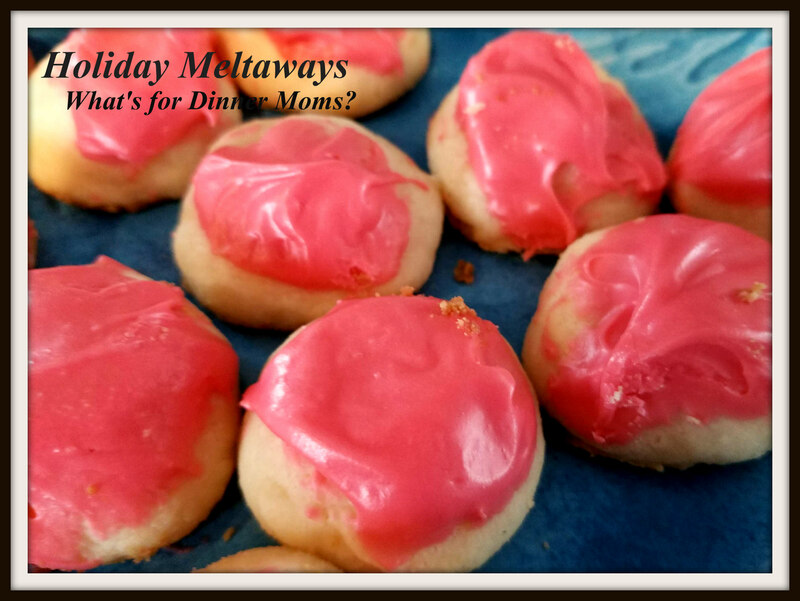 A simple delicate cookie that looks amazing on a holiday tray! Roll into small balls and place about 1″ apart on baking sheets. Bake for 10-13 minutes until the edges start to brown slightly. Be CAREFUL not to over bake the cookies! Remove cookies from pan to cool. Be GENTLE! These cookies are fragile. Best to use a light touch or a piping bag to frost the cookies with as they will crumble in your hands if not careful! Dip top of cookies into frosting rather than frosting to avoid crumbling. Since the holiday season starts this would make a really lovely colorful dot on the tray. Thank you! They are sweet looking on a tray.